A sightseeing balloon carrying foreign tourists over Luxor in Egypt has crash landed on Friday. One tourist killed and twelve injured. According to the reports, the incident was caused by strong winds. The balloon was carrying tourists from different nationalities and Egyptians. The health ministry said a woman was killed and 12 people injured but gave no further details. 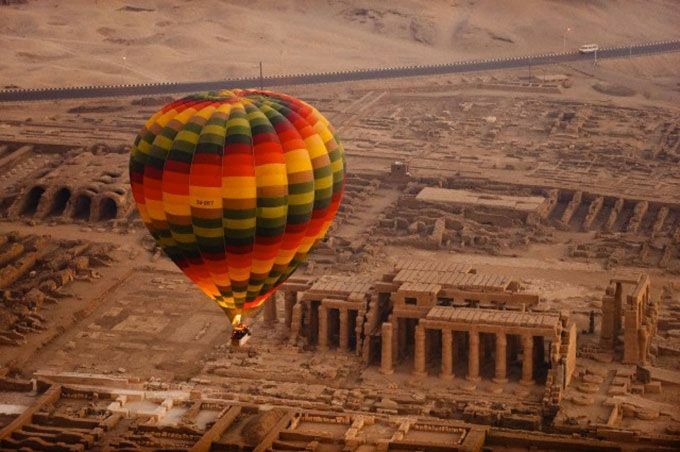 Hot air balloon incidents have occurred in the past over ancient Luxor. In 2013, 19 foreign tourists were killed when their balloon caught fire. In 2016, Egypt temporarily halted balloon flights after 22 Chinese tourists suffered minor injuries in a crash landing of their hot air balloon. Since then, balloon rides are monitored by cameras and banned from flying above 2,000 meters.